The national debt rises during and immediately after a major war as it did during WWI and WWII after which it went back to normal. However, starting with Reagan there has been nothing but major increases every year. It would appear our modern politicians have a different sense of fiscal responsibility or put more accurately, no sense of fiscal responsibility. No increase has been greater than under the current administration with a national debt per citizen of over $60,000. Sorry, that was the world’s 10 richest men. A little perspective here. During the US financial crisis of 1893, the US had a run on the Treasury and was going broke. One man, JP Morgan bailed out the country with $100 million deal ($2.6 billion of today’s money). Today the US Debt is $19.5 trillion. If there was another run on the Treasury the world’s, (that is the world, not US) richest men could only offer to cover just $507 billion or 2.6% of that debt. I thought that going into debt for my first house was bad at 2x my annual income. 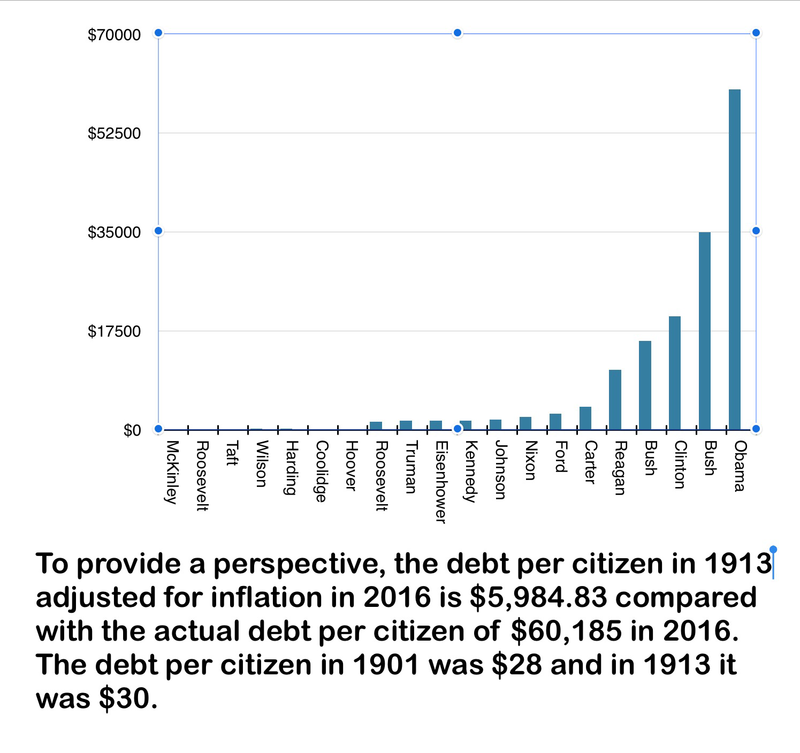 The current US debt per citizen cited above was my mortgage and took me 23 years to pay back. By the current government standards of debt ratio, I could pick out any mansion in the world and get a mortgage for it and never pay it back.